A Comparison of the Major eWallets: Which is the best eWallet? For managing your money online, eWallets are popular choice for their convenience and ease. Especially for those of us who shop online frequently, it’s an easy way to keep track of purchases and keep on top of your budget. And an eWallet can offer a little bit more peace of mind and security than entering your credit card number into different forms over and over. But out of the dozens of eWallet apps, which one is right for you? There are several different factors to consider, like currency exchange rates, and what apps work for your country. Depending on what kind of transactions you do the most, an eWallet may not even be the best choice for you, and researching your options can save you a lot of money in the long-run. We’ll help you compare and contrast the most popular eWallets, so you can make an informed decision. For your convenience, the following is an overview of what you need to know about eWallets, with a particular focus on international money transfers , which is where MoneyTransferComparison.com’s expertise lies. But What Exactly is the Difference Between eWallets? If Their Fees are So High, Why are PayPal and Skrill So Popular? An eWallet is an online app that lets you deposit and manage money for online transactions. For many people, it is a convenient way to have funds available online for purchases like plane tickets or streaming subscriptions, without having to reach for their credit card. For a money management app like that to be considered a digital or eWallet, it must fit certain conditions. First, it must be able to keep money in your digital account for a significant period of time, just like a bank account would. Second, it should give you the ability to transfer funds from your eWallet back to your credit card or bank account. What these apps all have in common is they are all built especially to deal with payments between individuals (P2P), customers and businesses, and businesses to other businesses. When researching which digital wallet might be right for you, keep in mind that fees, interest, and access options can vary wildly between companies, some are limited to only certain kinds of transactions, and not all eWallets are offered globally. This is merely a sub-set of eWallets in existance, and not necessarily the best eWallets out there, just the ones that have been tested and confirmed to be actually eWallets by MoneyTransferComparison.com. These are eWallets that we have thoroughly tested and proved to be the cheapest for international money transfers involving foreign exchange. Currencies Direct is not an eWallet but a money transfer service that enables you to send fee-free transfers to bank accounts overseas. It operates in a similar fashion to an eWallet in the sense that it now offers a multi-currency wallet. That means you can transfer funds to Currencies Direct to be kept in your account, just like any eWallet, and exchange that money to 40 different currencies through an online system, and then issue a bank transfer through the online system. Currencies Direct was selected as the best online money transfer system by us, and we have been working with them for over 4 years now. Payoneer is a unique solution that enables freelancers and small businesses to send and receive payments connected directly to their bank accounts. The company also offers a MasterCard connected directly to the online account’s balance that enables to withdraw funds directly from an ATM. Currencyfair is one of few money transfer providers that enables you to transfer money directly with other users in the platform (in addition to their main function of transferring money abroad to a bank account). If you need to transfer money abroad, you may be matched with a user in the system looking for a transfer in the opposite direction (peer to peer) and pay ultra-low fees! Sixty-eight different types of eWallets is a lot to choose from. How do you find out which one is right for you? The first category to look at is function. What do you need to use your eWallet for? Do you mostly make international purchases or just in your own country? Do you spend most of your online money paying individuals or businesses? The best eWallet for you will entirely depend on the amount of function you need it to have. Once you’ve narrowed that list down based on your desired uses, next look closely at the fees. Digital wallets are notoriously expensive when it comes to fees. From withdrawals to deposits, and currency exchange fees, it can add up. And it’s important to check out how you can put money in your account. Some eWallets offer physical locations where you can add funds, or will take cheques, but most only work with a bank account or credit card. Cryptocurrency eWallets are often not accepted for transfers to bank or credit accounts. And not all eWallets work globally, some have specific country restrictions. Convenience The main concept behind eWallets is the ability to send and receive money instantaneously 24/7, whereas banks are working only a few hours each day, and weekends and bank holidays are off. Credibility Since an eWallet is a form of a bank account, in which significant amounts of money will be stored in, you should consider credibility and security above all. Fees Deposit fees, withdrawal fees, currency exchange fees, and a variety of other fees – eWallets are notoriously expensive! Since all the eWallets listed on this page are credible (large companies with plenty of clients who have received major media coverage and have been funded by many millions), we are not going to go there. Similarly, the convenience part is very much in the eyes of the beholder. The staff at MoneyTransferComparison which uses the Paypal desktop and web app very often, absolutely despises the user interface there. We believe it is absolutely terrible in terms of usability, although it is considered one of the best user interfaces. Due to the above, we will focus particularly on fees. Let’s look at the top 16 eWallets that handle global transactions. 2.5 - 3% 0 - 2% 0% 0 - 6% $300 (75,000) ? $75,000 ? $75,000 ? 0.2 - 0.3% 0.1 - 30% ?% 0.1 - 16% $0 (300,000) ? ? ? ? ? 0% 1 - 5.5% 0% 0.1 - 4% ? ? ? ? ? ?
? 0 - 4% 0% 0.2 - 8% $4,500 (4,500) ? $4,500 ? $7,500 ? 0% 0.5 - 3% 0.5% 1 - 3% $15,000 (500,000) ? $25,000 ? $25,000 ? The chart above outlines some of the major categories of difference between these brands. The first three columns deal with the basics: where the company was founded, what currencies it operates in. The second set deals with fees, and what certain transactions will cost you. And lastly, there are the different limits set by each app. This can make a big difference to someone who is regularly wiring large amounts of money overseas. You’ll notice most of the eWallets primarily deal with US dollars and Euros. You’ll also see that there are certain outliers. For instance, while a lot of these companies charge no transfer fee, Paypal charges a very high one. Notice that Skrill, while it doesn’t charge as much as Paypal for transfers, makes their money on withdrawal fees instead. And each eWallet has their own limits and restrictions on transaction amounts. Most of the eWallets operate within the same average range of fees, but the bigger services, Paypal and Skrill, can have surprisingly large fees hidden for certain transactions. They can afford to buck the market average because of their popularity, most people are willing to swallow higher fees in exchange for a name they trust. In addition to the fees, the limits an app places matter. Papaya, for example, caps withdrawals at 1000, which can be very inconvenient if you need the rest of your money quickly. Ecopayz has a max of 500,000, which is great, but their withdrawal fees can also be as high as twelve euros. Neteller and Paytoo also have exorbitant withdrawals fees of 15 and 16 USD, and cap their withdrawal amounts very low. Customers who have been with those companies for many years may not mind the fees as a price for familiarity, but on paper, they don’t compare very well. Take a look at some of the unique features we’ve outlined, because not all eWallets are the same. Gyft, for example, is only gift cards. Airtel Money is a semi-closed wallet that doesn’t allow withdrawals. Biyo is a biometric wallet that lets you make purchases with the palm of your hand. Moven lets you pay a friend by text, even if they don’t have a Moven account. Apps like Zelle can transfer to any US bank in minutes, but Barclaycard is only available in the UK. Cryptocurrency wallets, as you can see in the chart below, are a much cheaper option than eWallets when it comes to fees. However, the trade off is you may be limited in where exactly you can use your cryptocurrency. Many banks do not accept cryptocurrency, because of its notorious market instability. But if the bulk of the transactions you do are cryptocurrency, one of the most popular cryptowallets is Ripple, which is backed by Google and known for their transparency. If you wanted to inquire about the costs of Cryptocurrency eWallets like Gatehub (our most recommended wallet that we personally use – for Ripple), then you can view them below. They are obviously much more sensible than the costs of eWallet but come with their own risks. Without doubt, using either cryptocurrency instead of a standard eWallet can slash off your expenses tremendously! But of course remember about the difficulties of using bitcoin for remittances – it is currently volatile and not widely accepted enough with merchants to become really usable in the same fashion as fiat currencies. Familiarity: People use these eWallet apps to receive and send local-currency payments all the time. When they need to exchange currency they just go back to the same platform they know. This is the same thing as people who still use banks for international transfers despite the exorbitant costs. Reputation It is unwise to underestimate a good reputation. PayPal and Skrill are household names, because they have been at the top of the industry for a long time. People trust them more than a name they know little about, and the extra cost seems like a small price to pay. Reach PayPal and Skrill allow you to send money across the globe, from just about anywhere in the world. Other services do not accept clients from certain countries. However, both PayPal and Skrill have limited availability when it comes to currencies (less than 30 currencies). 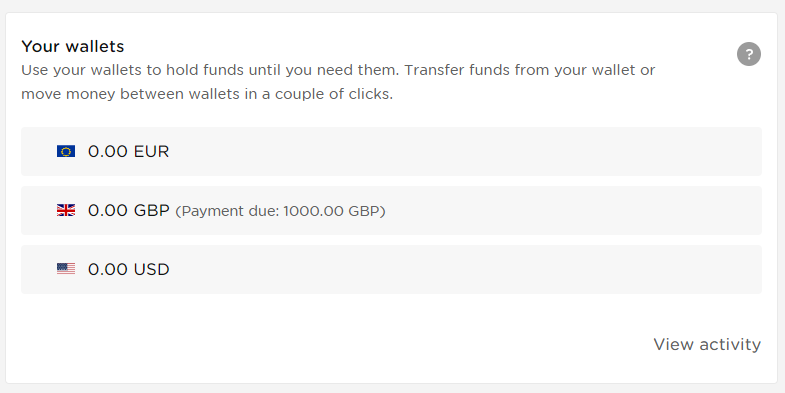 Quick PayPal and Skrill are easy to use – transferring funds is quick and simple. For certain customers, the convenience and ease make up for the fees. Great Apps Many transfer companies do not have their own mobile apps, and when they do they are often inferior. Paypal and Skrill both have easily understandable apps that are easy to use for everyone. Unaware of alternatives Many customers are unaware that there are cheaper alternatives, and stay with what they know. It’s easy to believe that every eWallet in the world works exactly like Paypal, if Paypal is all you’ve ever known. PayPal is one of the best-known and most popular money transfer services. Over the past decade and a half, it has made itself into one of the giants of the online money transfer industry. PayPal was founded back in 1998, getting its IPO in 2002. PayPal became a wholly owned subsidiary of eBay later that year, and remained so until it became an independent company in July 2015. In 2017, the PayPal’s annual payment volume amounted to US$451 billion. This was across more than 200 countries, in 25 different currencies. PayPal is currently acquiring Xoom Corporation, which is another leading remittance provider. This will increase PayPal’s reach and boost revenue significantly. PayPal is a household name globally, which necessarily comes with a lot of criticism. In the early 2000s, PayPal had a widespread problem of being used for fraud, which they have largely addressed and cracked down on. However, the perception caused by the controversy remains fresh in the mind of many. Client feedback is also often quite negative. On TrustPilot they have a score of 1 out of 5, with 5030 reviews. A lot of the complaints focus on bad customer service when things go wrong. There are also complaints about money being taken off with no indication of why. The main disadvantage of using PayPal is the high fees, and the fact the company lacks client support is highly negative. It is mostly convenient to use, but when things go wrong, customers face a lot of frustration and difficulty getting money returned. Another giant of the money transfer corporations, Skrill is up there with PayPal in terms of renown and usage. Skrill is another company that has been around for a while. Skrill was founded in 2001 as Moneybookers, but was taken over and rebranded by Skrill Limited. Skrill’s parent company is Paysafe Group. Optimal Payments acquired Skrill in the 3rd quarter of 2015, which is the latest in a long line of acquisitions over its 14 year history. Skrill have acquired Ukash, their biggest competitor in the UK. This is expected to increase the scale and reach of Skrill’s paysafecard, which will help them maintain their status as one of the leaders in the market. Just like PayPal, Skrill’s global reach has built up a large base of unhappy clients. On TrustPilot they have a rating of just 1 out of 5, with 1371 reviews. The major complaints involve possible scams, accusations of fraud, and non-existent customer service. The major disadvantage with Skrill are the very high payment fees, even higher than PayPal’s. Skrill also has customer service problems, and a lack of client support. After analyzing thirty five reviews of Paypal and Skrill left over the course of the last two years on several review sites, we found that only 40% of the reviews were actually positive. Of the negative complaints, the most repeatedly mentioned issues were payment delays, lack of customer support to turn to when something went wrong, and verification problems that led to account freezes. People also mentioned problems with peer to peer transfers, account access limited for no reason, and delays with refunds due. Unfortunately, eWallets can be an easy target for scams and account fraud. After all, think of all the information linked to your payment account. The people most at risk here are people who shop a lot online, so there are a few rules to remember. First, no eWallet will ever send you communications asking for your password. Hackers may email you pretending to be from your eWallet app service asking for password details or security answers.They will then clean out the account. You should never give out your security information. Second, never refund money to a buyer or seller without first checking that your wallet has definitely received the money they claim to have sent. A common eWallet scam is that a stranger will contact a victim, claiming to have mistakenly sent them money. As proof, they may send a doctored screenshot showing the transaction. Always verify for yourself in your app that the funds have been received or cleared before sending refunds. And lastly, scammers may send requests for transfers for travel emergencies, or ask for account information to send “lottery winnings” or supposed inheritances. Never send money or give your account information to a person you do not know, who you cannot verify. If you intend on using your eWallet to send international money transfers, you may be better off working with a money transfer service like CurrencyFair. Neither Paypal or Skrill were set up for international transfers specifically, and consequently the fees can add up to insane amounts. CurrencyFair has no transfer limit amount, no withdrawal or receipt fees, and the few fees they do charge are usually half of other services, if not much less. Sometimes you can save a lot by using a company designed specifically for the service you need. How EXPENSIVE are Traditional eWallets for International Payments, exactly? We have compared Paypal and Skrill’s fees and in comparison we tossed in a specialised foreign currency provider (which we will deal with later). As you can see in the table above, Skrill has the most hefty fees, which are far more expensive than PayPal and Currencyfair. PayPal itself is significantly more expensive than Currencyfair, with 2.5% fees as opposed to 0.35%. PayPal: requires a minimum withdrawal amount of just US$1.00 The maximum you may send through PayPal is US$10,000 in one transfer. Since Paypal is funded by your debit or credit card, standard credit limits will apply. Skrill: The maximum per‐transaction limit is €10 000 or the equivalent in another currency.You can use your Skrill Card to pay for goods and services up to the value of €6,300 on a 24-hour rolling period. Transfer Limit (After Verification) No Limit! These are companies which aren’t traditionally considered as eWallets, but in fact they do enable clients to use the same function as an eWallet. The only differences is that none of these companies enables P2P transfers to another client on the platform but rather force you to send funds to a bank account (either yours or someone else’s). Note: Most traditional transfer services do not enable users to keep sums of money in the account, but some of the larger money transfer companies have an E-MONEY license by the FCA which means they can withhold client funds for limited periods. 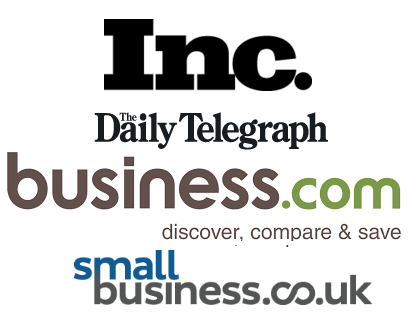 These are the companies we will be focusing on. Check out a finite list of the best online money transfer services here. As you can see from the table above, the top rated money transfer companies can help an individual or a business make payments through an online system (similarly to eWallets) for a fraction of the cost. Funding the transaction is usually done via a bank transfer, but for smaller payments you can use a credit card, similarly to eWallets. Receiving money from abroad through these companies is definitely do-able. With some companies like World First, businesses can have their own collection accounts abroad, and with other companies you will request an electronic check to be cleared by the firm. In either way, each one of the 3 companies above will supply you with a dedicated currency dealer to assist you with all your inquiries. Who should use PayPal or Skrill? This is a hard call. Both companies are reputable and globally accepted. They are both convenient and quick. However when it comes to high fees, they both make their money in different area, so it may depend on what functions you use the most. If you know you will be doing a lot of international transfers, involving currency exchanges, a transfer specific company like Currencyfair is a much cheaper option. Not to mention, their client support system is accessible and comprehensive, so if anything does go wrong, you won’t be breaking your laptop in frustration. The biggest disadvantage to Currencyfair is that at the moment they have limited reach, and they do not accept users from the US. However, they are by far the eWallet provider with the lowest fees. If you live in a place where Currencyfair is available, it is the best option for managing your money internationally online. PayPal and Skrill have their advantages, but Currencyfair is the eWallet provider with the lowest fees by far. Currencyfair major disadvantage is their limited reach, but they are the best choice in locations where they are accessible. By browsing through the article, I got valuable knowledge of money transfer by wire. Thanks. Hello admin i see your website is very informative.I want to request your suggestion on which am searching from past a month but not able to find a gateway for technical support of computers.Can you suggest me any good merchant acccount which i can use to preocess payment of our business we are registered company of india.receiving funds froms USA.Will be waiting for your great support thank you.. Very informative article about PayPal. I just read that PayPal will shortly stop serving Turkey due to regulatory restrictions. I don’t like any E-Wallet service which begs and harasses personal documents for whatsoever reason I will never share personal info. The head and all the employees must provide their documents to people who register with them because if these wallet providers are concerned about possible fraud and money laundering by the people then People are investing their money so they also have right to demand all the E-Wallet service providers employees documents including documents of their CEO. People also have right to reject CEO’s documents if he doesn’t provide clear copies. Hello, I live in Cuba and I need to charge electronically, can you advise me? I must withdraw money from Skrill and Netellers accounts. Their permit withdrawal only to bank account with same beneficiary name of the skrill account. I don’t want to use my personal bank account because of high wire and currency fees. I am looking for a money transfer service which will provide me with a iban or whatever account with my name as beneficiary, and possibly which would convert my currency for cheap. Services like currencytransfer.com are good, but cannot withdraw from skrill to it because the beneficiary name is not mine. Do you know if Skrill is operational in Ghana?